Losing weight is at the core of the majority of successful plans to manage and reverse many health conditions. But did you know that your waist size is actually even more important than your weight? Research shows that your waist measurement is a key indicator of your risk for developing type 2 diabetes and many other health issues. 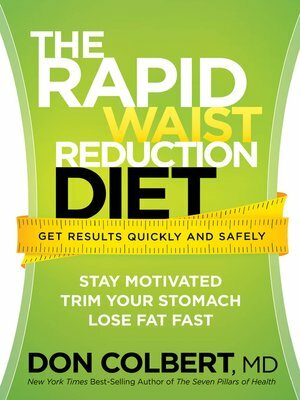 In The Rapid Waist Reduction Diet you will learn about natural ways to shrink your waist and lose belly fat through diet, supplements, and exercise. Dr. Colbert's Rapid Waist Reduction Diet is the last diet you will ever need. It is time to lose that stubborn belly fat and keep it off—for life!